The Vanderbilt Digestive Disease Research Center (VDDRC) celebrates its 15th anniversary this year with a third consecutive five-year renewal of its federal research grant. The center, which includes 84 faculty investigators from 14 different departments, will be supported through June 2022 with a $3.75 million grant from the National Institute of Diabetes and Digestive and Kidney Diseases of the National Institutes of Health (NIH). The collaborative center, one of only 17 such DDRCs in the United States, facilitates a wide range of research, with the central theme being the study of microbial and host factors that impact digestive disease pathobiology as it relates to inflammation and the environment. According to the latest NIH statistics, 60 to 70 million people in the United States are affected by digestive diseases, and these diseases led to 21.7 million hospitalizations and 48.3 million ambulatory care visits in 2010. The VDDRC Pilot & Feasibility Program is directed by Keith Wilson, M.D., Thomas F. Frist Sr. Professor of Medicine, Cancer Biology and Pathology, Microbiology, and Immunology. In response to critiques from the center’s 2011 grant application that the center needed to “enhance the career development of junior investigators,” the VDDRC also developed the Academy of Investigators. Under the direction of Alyssa Hasty, Ph.D., this program assists young investigators with “non-science” aspects of a career in academic medicine, such as responding to manuscript and grant reviews and laboratory financial management. The program provides monthly workshops featuring invited guest speakers as well as financial assistance for obtaining support, such as core services. Since its inception, the VDDRC has provided millions of dollars in pilot funds to junior investigators to bridge the gap between training grant support and career development awards from the NIH and other funding agencies. Annually, four or five pilot projects are supported. One disease focus that has been extensively supported by the VDDRC is gastric cancer, and, in partnership with the Vanderbilt-Ingram Cancer Center and the Vanderbilt Institute for Global Health, VDDRC members are investigating how rates of gastric cancer vary between populations in different geographic areas, what might be the causes of those differences and then how best to treat gastric cancers once they develop. “In the United States the incidence of gastric cancer is actually decreasing, but because we have access to populations in high-risk areas outside of this country, we have been able to identify novel biomarkers and understand the pathogenesis of the disease at a molecular level,” Peek said. Other VDDRC investigators are trying to understand the enigma known as nutritional immunity, in which certain metals like iron, zinc or nickel contribute to pathogenic infections in the gastrointestinal (GI) tract, such as those caused by Clostridium difficile (C. difficile) or Staphylococcus aureus (Staph aureus). There are several investigators working on the microbiome (the trillions of microbial cells found living inside the body) and how these microbes affect diseases outside the GI tract. Another VDDRC research group focused on obesity, metabolism and nutrition is working to understand how dietary risk factors predispose individuals to obesity. For example, researchers led by Naji Abumrad, M.D., are examining the role of bile acids, where they are delivered within the GI tract and how that is important in dictating whether an individual will lose or gain weight. Peek said VUMC’s administrative and scientific leadership, the associate directors, research program directors, core directors and the internal and external advisory boards all have played critical roles in helping the VDDRC grow and remain highly successful. In particular, associate directors Abumrad, John L. Sawyers Professor of Surgical Sciences, and Wilson, have been heavily involved in the center’s continued research expansion and the recent grant renewal, he said. 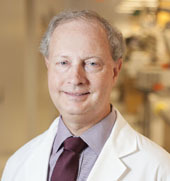 VDDRC research program directors include Timothy Cover, M.D. (gastrointestinal infections and injury); James Goldenring, M.D., Ph.D., and Michelle Southard-Smith, Ph.D. (progenitor cells, development, regeneration and pre-malignant lesions); and Alyssa Hasty, Ph.D., and Kevin Niswender, M.D., Ph.D. (obesity, metabolism and nutrition). Research cores that support VDDRC investigators include Mass Spectrometry/Proteomics, directed by Richard Caprioli, Ph.D.; Cell Imaging, directed by Matt Tyska, Ph.D.; Flow Cytometry, directed by James Crowe Jr., M.D. ; Preclinical Models of Digestive Diseases, directed by Kay Washington, M.D., Ph.D.; and Biostatistics, directed by Tatsuki Koyama, Ph.D.